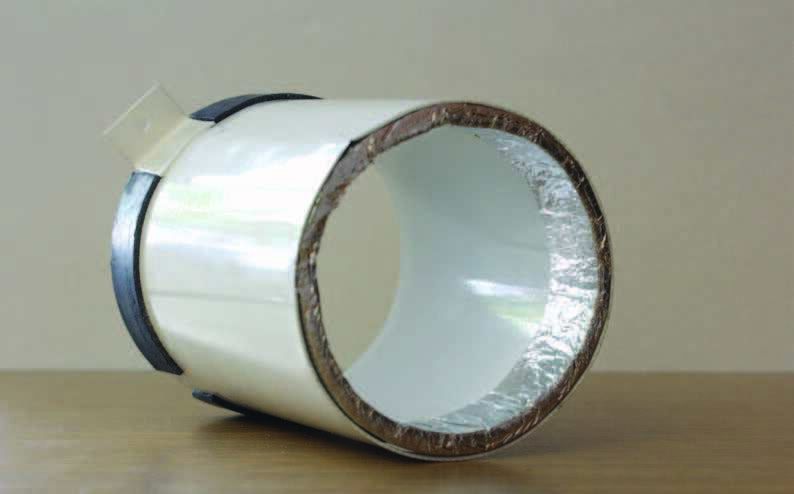 A fibre free intumescent sleeve which allows the expansion and contraction of ventilation ducting, giving protection from fire, smoke and corrosion. 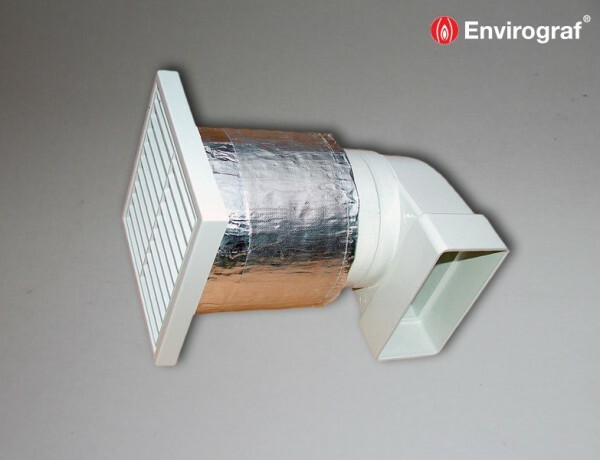 Also included in the range is the CLVM Clipper, a ventilation outlet designed for toilet vents. 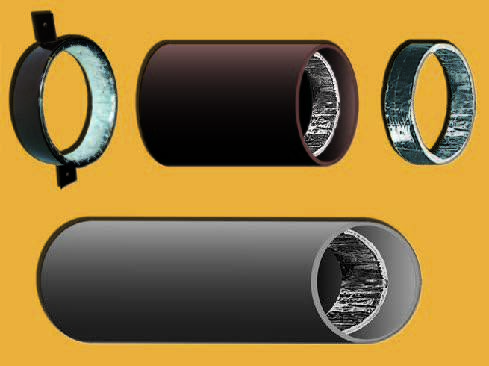 Consists of a 140mm pipe section which fits tightly inside the end of the ventilation pipe and a circular outlet which is screwed into the wall or ceiling. 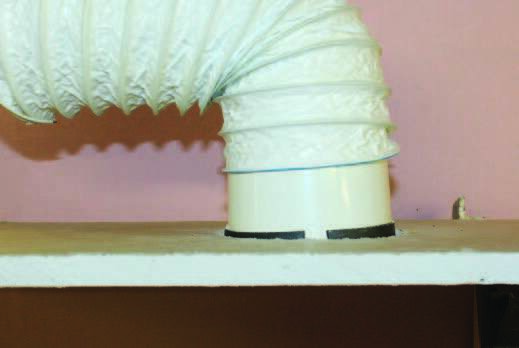 Has intumescent at both ends to seal off ventilation systems in a fire. – Will last a lifetime in-situ and will not degrade or deteriorate. Peel off the backing paper to reveal the self-adhesive strip on the back of the LV intumescent liner. 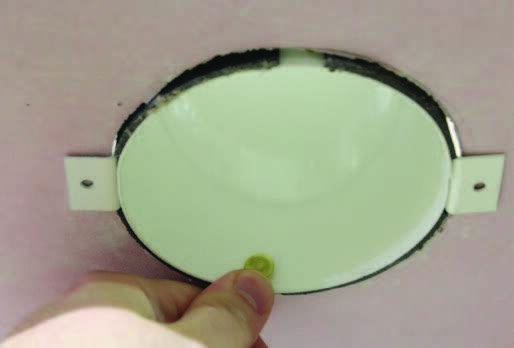 Push the LV liner inside the pipe, leave 30mm clear for the ventilation grille to be inserted if necessary. 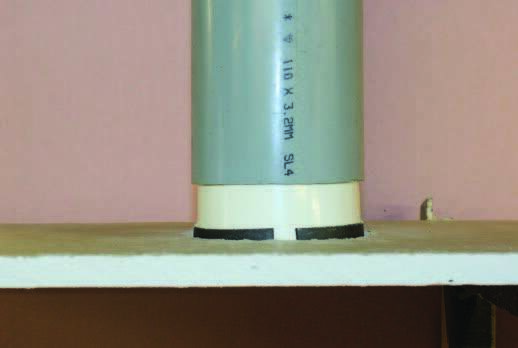 Press on the LV liner to fix in position using theb self-adhesive strip. Any overlap can be trimmed using a sharp knife. Affix the protection label adjacent to the protected service. 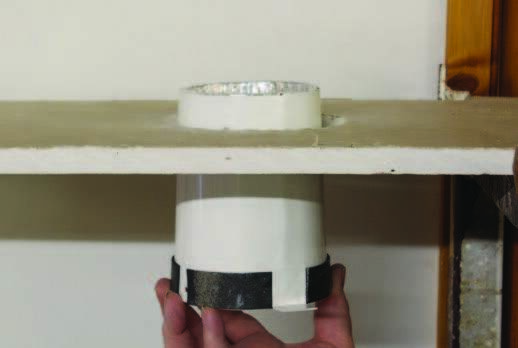 (C) Metal sleeve with internal intumescent liner for cavity walls. 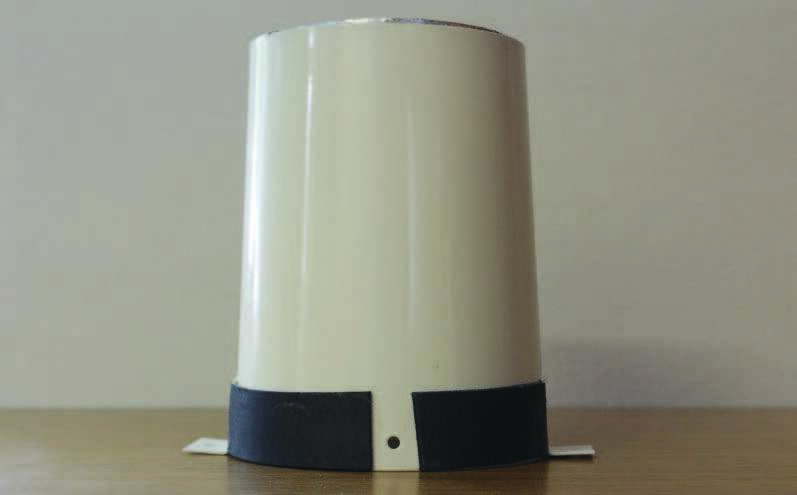 (D) Metal sleeve with fixing brackets and internal intumescent liner, for suspended or plasterboard ceilings, supplied with fixing screws. (For fixing around fan sprogett and flexible tubes).